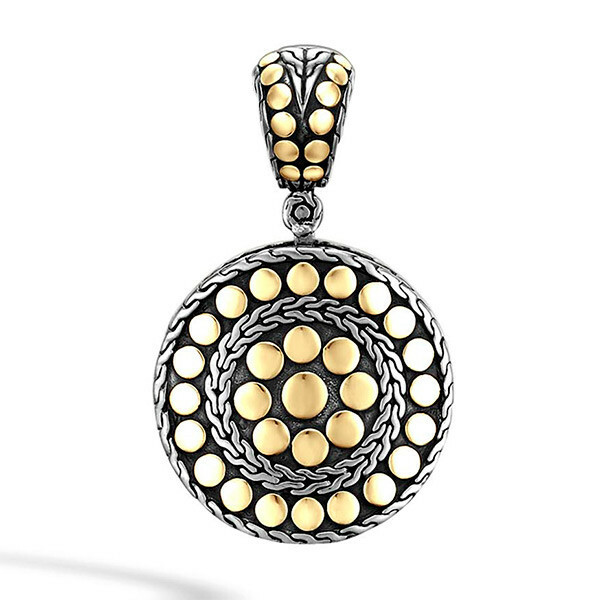 Creating a dynamic look, this John Hardy pendant from the Dot collection is stunning. 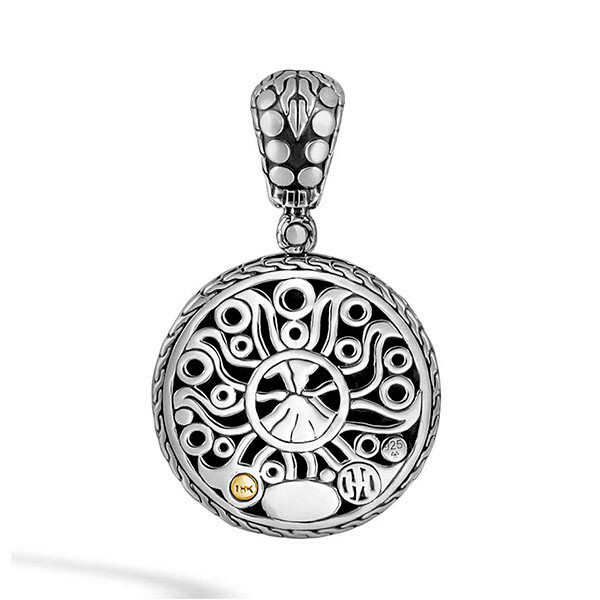 A disc of darkened sterling silver is trimmed with bright ribbons of classic chain around the edges and in the center. Shiny 18kt yellow gold dots are placed between the classic chain ribbons to create a fabulous two toned design. Even the bail is embellished to give this piece a little flair. Place this John Hardy beauty on a classic chain (sold separately) for an amazing new style.